Alliance for Breastfeeding Action (WABA) started WBW in 1992 with the vision of a world where breastfeeding is the cultural norm. This year’s theme—“Breastfeeding: Key to Sustainable Development”—was a reminder to the commitment Uganda made towards contributing to the Sustainable Development Goals (SDGs). 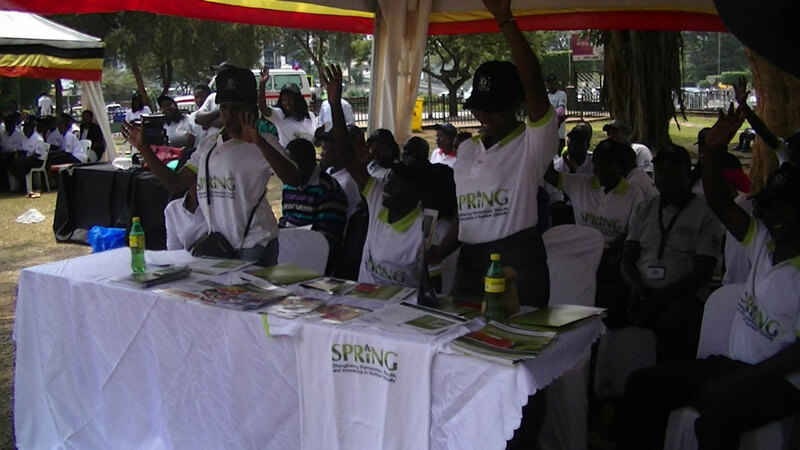 SPRING/Uganda celebrated WBW by working with the Ministry of Health to organize several activities at the national level to spread key messages on breastfeeding and nutrition in general. The activities included a courtesy call to the Speaker of Parliament and the committee on health within the members of parliament, a media dialog, radio talk shows, and rallies and commemoration days where key nutrition messages were disseminated. At Parliament, the Speaker, Right Honorable (Rt. Hon.) 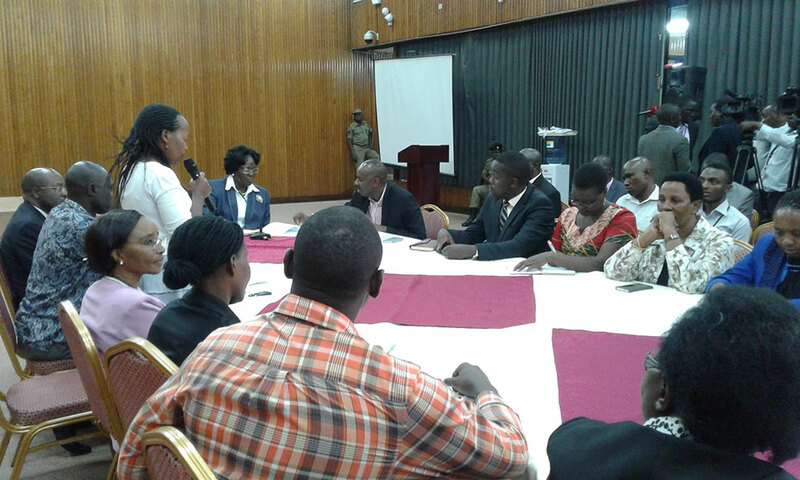 Rebecca, Kadaga asked companies and organizations to build breastfeeding centers for women at their places of work. "I think when we were making that law, there was also the question about employers - could they afford to pay you for three months when you are not working," she said. This was after MoH officials and partners presented a proposal to parliament seeking to increase maternity leave from current 3 months to 6 months in Uganda. 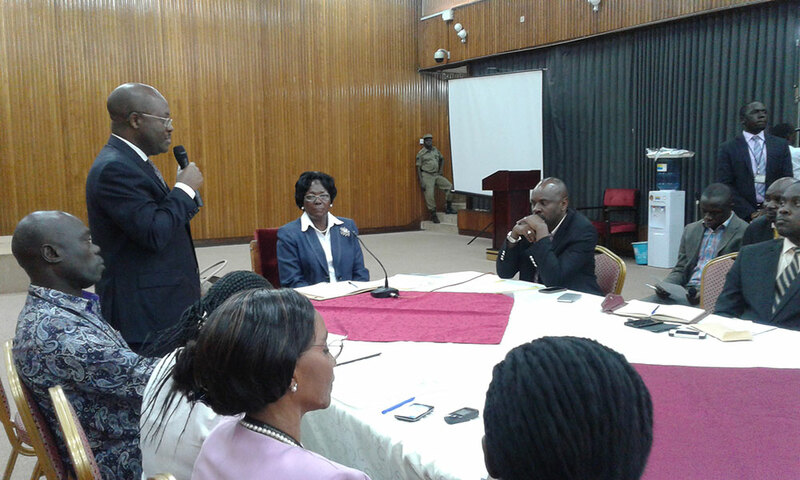 The acting Director General of Health Services Dr. Anthony Mbonye, said if the proposal is adopted, it would be a welcome move to promote breastfeeding. “We want maternity [leave] increased to 14 working weeks," he noted. World Breastfeeding Week 2016 ended with an awareness walk, accompanied by a band, through the city of Kampala from Mulago Hospital to the parliamentary commonwealth grounds. The chief walker was Hon. Dr. Moriku Joyce, the State Minister of Primary Health Care. In her closing remarks, she appealed to the people to continue with the spirit of supporting mothers in all ways, especially during breastfeeding time. “In our struggle to attain middle income status, as a country, by 2040, interventions such as protecting, supporting, and promoting breastfeeding will largely contribute to reducing child and maternal mortality,” she said. 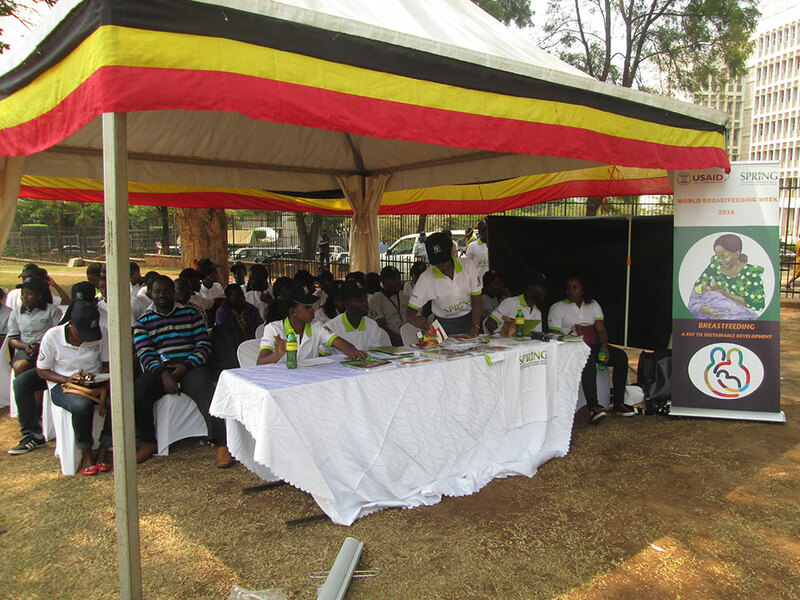 Commemoration activities attracted over 800 participants from the health sector, academia, private sector, development partners, communities, and district officials. Promotion of breastfeeding is part of SPRING/Uganda’s overarching vision to deliver nutrition services that improve the health status of mothers and children. Photo caption: Hon. 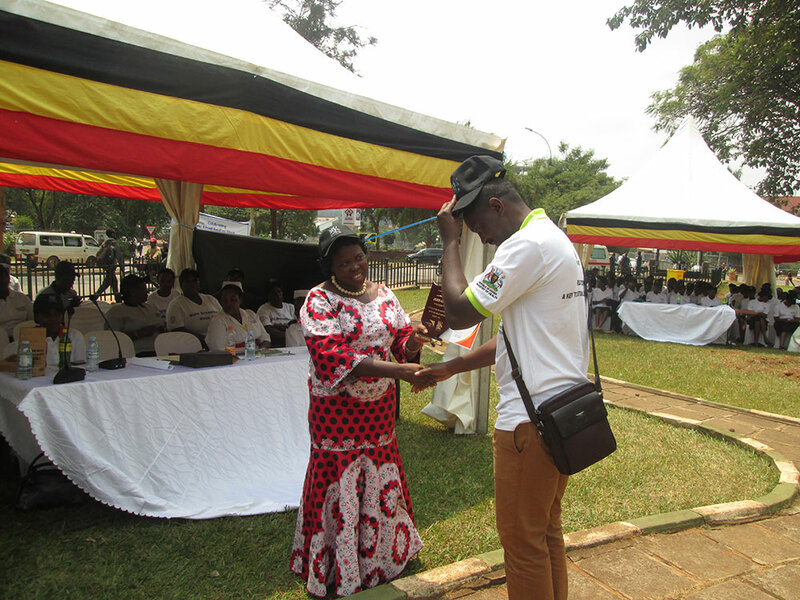 Dr. Moriku Joyce, the State Minister of Primary Health Care, recognizes Moses Ssebale, a SPRING representative, during the national breastfeeding celebrations. SPRING played a critical role in organizing the function.